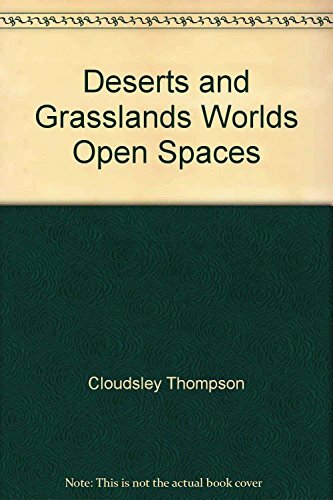 Home Cloudsley-Thompson, J. DESERTS AND GRASSLANDS. PART 1. DESERT LIFE. DESERTS AND GRASSLANDS. PART 1. DESERT LIFE. Title: DESERTS AND GRASSLANDS. PART 1. DESERT LIFE. We specialize in used, out of print Natural History books; especially mammalogy, ornithology and herpetology. In addition, we carry hunting, fishing, sporting and exploration. Reduced shipping rates may be available for small pamphlets and reprints if you wish to inquire. Over 15,000 titles in stock. Orders usually ship within 2 business days. Shipping costs are based on books weighing 2.2 LB, or 1 KG. If your book order is heavy or oversized, we may contact you to let you know extra shipping is required. Insurance is optional with cost based on coverage. Standard shipping via media mail in the U.S. Reduced shipping rates available for small pamphlets or reprints. Priority mail and international rates available upon request.